Quite the opposite: we are among the international literati of the first order, and we are free to ecstatically smile and sniff the books and promotional materials—like an American woman visiting a French perfume shop. On opening day, Guardian columnist and high-flying London salonnière Damian Barr dispensed more practical guidance particular to British connoisseurship. “#LBF16 have a great fair everyone! Remember to sneak out for gin/fags/sunshine,” he tweeted. But the fair has a precarious underbelly. Like the catwalks of Paris and London, the publishing industry is brutally exposed to the prescriptive winds of fashion. A comparison with the stock market is better still. There is something unavoidably, well, icky, about book fairs: it is the necessary monetization, and inevitable corporatization, of art. 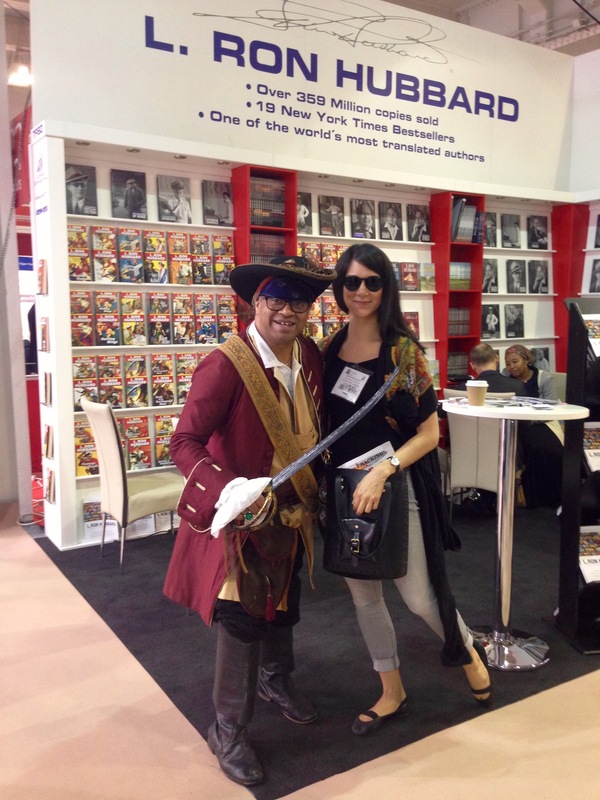 “One seven-figure buy and a delegue of six-figure deals after heated auction have launched the London Book Fair with a bang,” began the front-page article of April 12’s the Bookseller Daily (“At the London Book Fair” issue). Despite the slowing of e-book sales, publishers’ investments in digital experiments continue to purr like a cat, and as booths promoting “digital solutions” were bountiful, it appears the word continues to spread like wildfire. 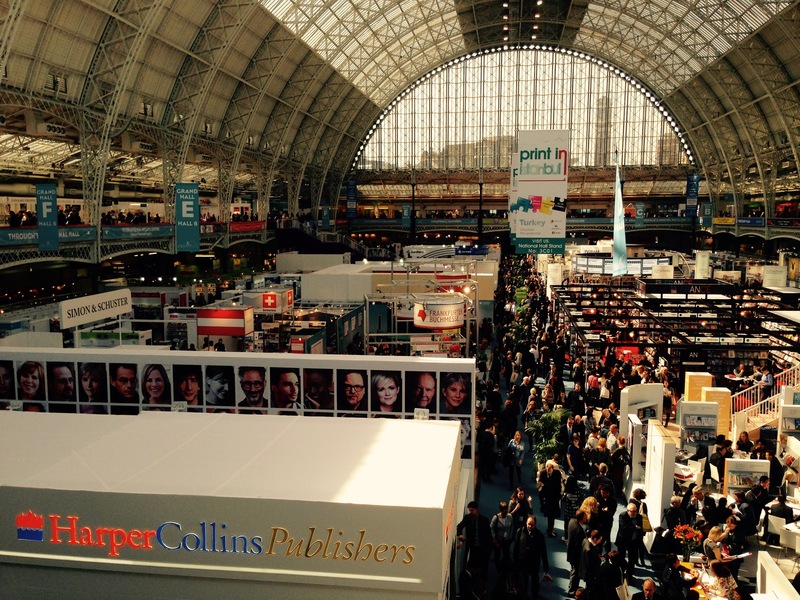 An infrastructure of suits (housing literary agents) was a leading feature of the London Book Fair’s egoscape. In this way, a sneakered bluestocking with a penchant for world literature found herself washed up on the sidelines in an inexplicable frenzy to fit in. She proceeded to wield her cellphone from her (pen-ink-stained) pocket, intuitively commanding “Buy! Buy! Buy!” into its receiver. (A moment later, she turned the phone on, and texted her colleague to arrange meeting for a cup of tea). The event might rankle without the underrepresented powerhouses that exist to encourage literature’s world-changing possibilities. The Literary Translation Centre’s excellent talks included a roundtable, titled, “Translating from the Margins: The Challenges, Opportunities and Responsibilities of Working with ‘Under-Represented’ Languages.” Participants included Antonia Lloyd Jones, Nicky Harman, Deborah Smith, Mui Poopoksakul, Peter Bush, all of who have featured in this journal. Words Without Borders, our comrades in arms, was awarded the 2016 International Literary Translation Initiative Award. While recreational real estate in the exhibition hall is limited, in the academic publishing section, tweed-jacketed professors were seen picnicking on the cold linoleum in quiet alcoves created by fire escapes (?). More feral folk heeded Barr’s pointer, preferring to perch on the curb next to the Overground station in order bask in this country’s scarce sunlight whilst gulping down sandwiches. In order to enter and leave the Olympia Centre, one must pass inspection from a militia of interns rationing free copies of The New York Review of Books (London Book Fair Issue). Upon being questioned about his motivations to participate at this specific event, an undergraduate-aged young man shifted his bundle of East Coast journalism to one side, looking at his amiable pursuant as if she was Heathcliff, freshly escaped from the Yorkshire moors. A long pause. Then, “I love books, I want to be a writer,” he practically sputtered. Perhaps, at least at this year’s London Book Fair, the culture-keepers, whether capitalist or purist, should forgo the widespread trend to despair The Millennial: books aren’t just for the suits.